While it’s been great having our inventory in markets like The Undercover Antique Mall in Oxford, the Southern Maine Indoor Flea Market in Scarborough and Drinker of the Wind Studio in Turner, we’ve also really wanted to have our own place… partly to get all of our fabulous inventory out of our house, where it’s taken over! The Heritage Collectibles Boutique will also allow us some space to start our eBay business. 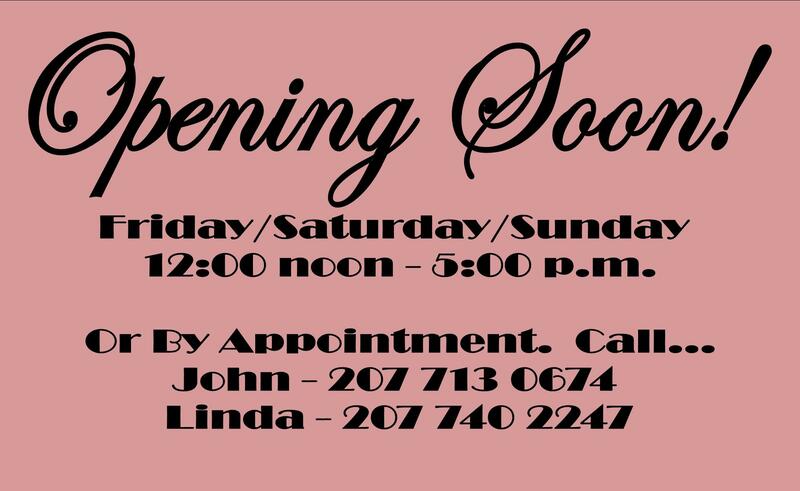 John and I are thrilled to announce that very soon, we’ll be opening the Heritage Collectibles Boutique at 5 Park Street in Lewiston. “Soon” is because we have a lot of painting and cleaning up to do inside the space before we can start to add fixtures and inventory… and we both work a lot of hours each week at our regular jobs. However, the Boutique will definitely be open by Black Friday (the day after Thanksgiving), and almost certainly before then! We’ll be working hard to find more cool, vintage and collectible items, as well as Americana, Signage and Military pieces. In the meantime, you can find out more about Heritage Collectibles by visiting our Facebook page or checking us out on Pinterest. Consignment available at our Boutique or in our spaces at the Southern Maine Indoor Flea Market and the Undercover Antique Mall. Give us a call to find out more! We clean out garage sales, yard sales, rummage sales and flea markets! FMI: Linda Snyder at 207 740 2247 or John Snyder at 207 713 0674. 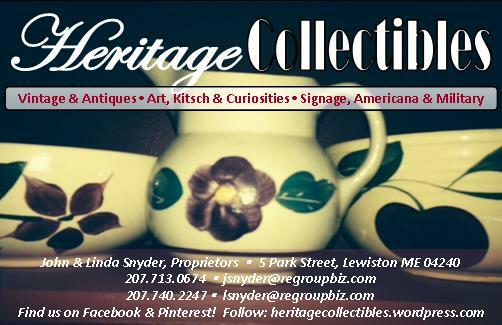 This entry was posted in Events and tagged Americana, antique, art, boutique, collectible, Drinker of the Wind Studio, flea market, garage sale, heritage, Heritage Collectibles, kitsch, military, signage, Southern Maine Indoor Flea Market, Undercover Antique Mall, vintage. Bookmark the permalink.